Tata Motors Group has announced its financial results for the quarter ending June 30, 2018, with the Indian company experiencing its first quarterly loss in three years – it is also the company’s worst quarterly loss in nearly nine years, according to a Bloomberg data. This comes as its subsidiary, Jaguar Land Rover (JLR), posted lower revenues due to fewer vehicles sold in the period. According to an official report, JLR’s retail sales grew 5.9% in the first quarter of the company’s 2018-19 financial year (Q1 FY2019 represents the three-month period from April 1, 2018 to June 30, 2018) to 145,510 units. 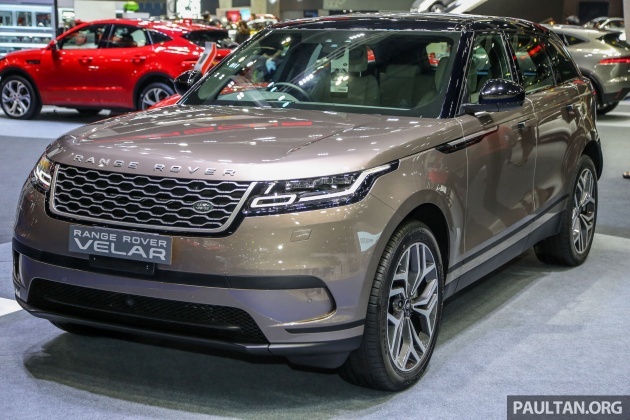 Models like the Range Rover Velar, Range Rover Sport, Land Rover Discovery and Jaguar E-Pace contributed to the strong sales. However, wholesale orders dropped by 7.7% as a result of China’s decision to cut tariffs on auto imports from 25% to 15% from July 1. As such, dealers in the country postponed their purchases to benefit from the tariff cut. “We had a pre-tax loss in the first quarter, reflecting the impact of the announcement of the duty reduction in China as well as planned dealer stock reduction in the quarter,” said Ralf Speth, CEO of JLR. The lower wholesale orders, combined with unfavourable balance sheet currency revaluation as well as higher depreciation and amortisation from continued investments, saw JLR record a revenue of 5.2 billion British pounds. This is 6.7% lower than the same period last year in Q1 FY2018 (April 1, 2017 to June 30, 2017), while profit after tax stood at 210 million British pounds. Despite this, the company continued to invest in new automotive technologies, spending 1.1 billion British pounds for the quarter. This investment spending, along with seasonal working capital outflows of 1 billion British pounds, resulted in a negative operating cash flow of 1.7 billion British pounds. For the current financial year (FY 2019), the company aims to invest 4.5 billion British pounds. Looking at Tata Motors, the Group’s other subsidiary, wholesale orders were up 59% to 176,868 units, with improvements in both commercial and passenger vehicles. Net revenue grew 83% as a result, to 16,803 crore rupees, while profit after tax stood at 1,188 crore rupees. The figures show the Group suffered a consolidated loss of 1,863 crore rupees, with revenues coming in at 67,081 crore rupees (14.4% higher year-on-year). To reduce costs, Tata Motors plans to cease manufacturing vehicles in Thailand after first entering the country in 2007, and will be focus on a distribution network to sell imported vehicles instead. BMW made from Hungary will soon be call Hungarian car . BMW made from south Africa will be African car right? Soon BMW will a Cap Rojak brand . the XE may hv found a few fans, but honestly, for any 1st time exec compact buyers, why would u skip a chance to own a german instead…. Too much focus on luxury models and no production of mid priced vehicles. Not that the limited distributorship and questionable reliability helped. Even the German luxury makers have a couple of mid priced models ie A class, 3 series, A3 but not JLR. When the market changes like post Brexit, JLR is in dire straits. of course make losses, brand name also tak ada. ta ta to TATA. Geely shark is smelling the waters now, waiting to pounce. The India market is vast untapped potential. or maybe because they are making sub-par cars? And TDM thinks Proton is so easy. I guess it is, if you force it down rakyat’s throats by making imported cars much more expensive.